HUDSON, N.Y. — Camilla and Earl McGrath, collectors who surrounded themselves with creative people and interesting works of art given to them by their many artist friends, were also an attraction for the trade and private bidders at Stair Galleries’ Modern and contemporary auction on June 3. Roy Newell (1914-2006), “Color and Time, 1956-98, oil on board signed “Roy Newell” and dated on the reverse, 9 by 6 inches, sold for $28,060, a new auction record. Two works from their collection set new auction records. 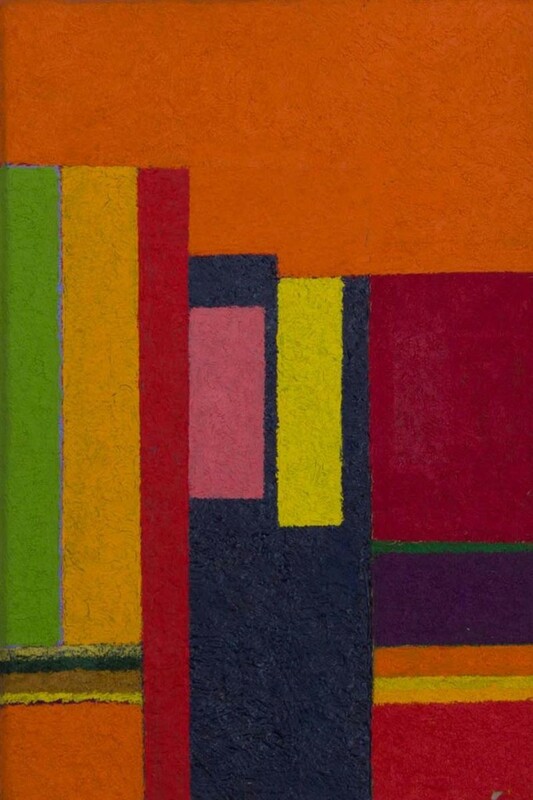 Roy Newell’s (1914-2006) “Color and Time, an oil on board, 1956-98, signed “Roy Newell” and dated on the reverse, 9 by 6 inches, sold for $28,060, including premium. Handily beating its $800-$1,200 presale estimate, the painting’s exhibition history included Pollock-Krasner House’s “Paintings by Roy Newell 1956-2000,” May 1- July 26, 2014. Another high flier at the sale was Howard Kanovitz’s (1929-2009) “The New Yorkers,” a light box construction from 1967 with a label from Waddell Gallery, N.Y. The 17-by-22-by-4-inch piece realized $37,820, more than 10 times its low presale estimate. According to the gallery’s director of fine art Lisa Thomas, Kanovitz was part of a circle of artist friends who hung out together in Greenwich Village at places like the Cedar Tavern in the mid-1960s. Larry Rivers, Frank O’Hara, Alex Katz and Willem de Kooning were regulars alongside Kanovitz and others, drinking and debating on subjects of art, music and literature. Kanovitz was a pioneer of the Photo Realism style which emerged in reaction to Abstract Expressionism. 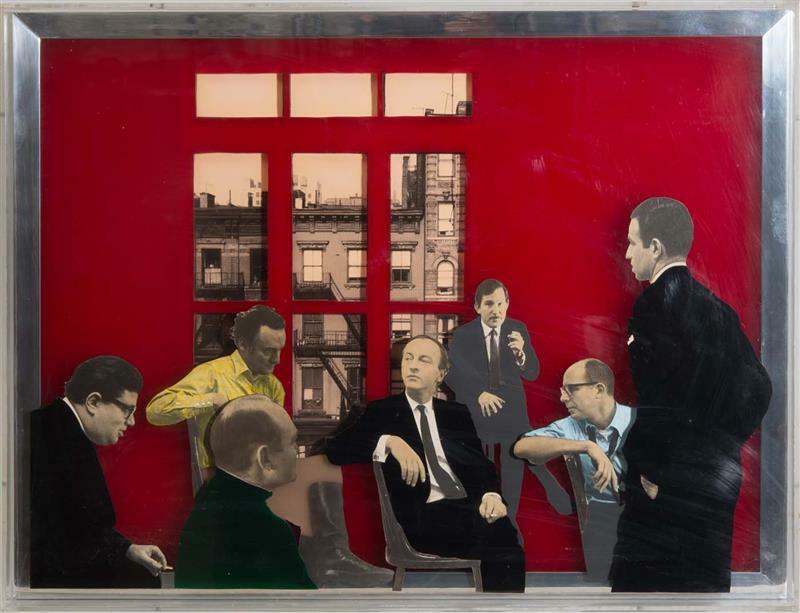 This light box is a three-dimensional representation of Kanovitz’ painting “The New Yorkers II,” from 1965. The scene is Kanovitz’s Second Avenue studio, with Morton Feldman, Sam Hunter, Larry Rivers, Frank O’Hara, B.H. Friedman and Alex Katz. “Overall, the sale exhibited very strong interest from both the trade and private collectors,” said Thomas.